NEW YORK, New York - A list of the sexiest children's television stars was released today by Desperate & Lonely, a magazine for stay-at-home moms. The list resulted from a survey of D & L's readership, which consists mainly of women ages 24-38 who have given up all hope of having meaningful, fulfilling lives separate from their children. American moms would like to look for the third clue in Steve's pants. 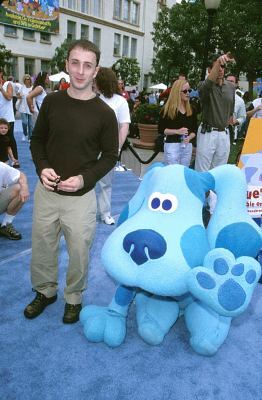 Topping the list, not surprisingly, is Steve Burns, whose new career as lead singer of the rock band Steve Burns & the Struggle proves to haggard moms everywhere that there is life after Blue's Clues. D & L's editor, Valerie Little, explains, "Burns is the perfect male prototype: a sensitive pet-lover who's not afraid to rock." Amanda Curtwright, a Massachusetts mother of four, agrees. "He's the kind of guy I would pick up in a bar, assuming that I still had a life of my own and the ability to attract men." Curtwright's five-year-old daughter Kylie adds, "Sometimes when we watch Blue's Clues, Mommy goes to her bedroom and cries." Next on the list is perennial favorite Gordon from Sesame Street. Little attributes Gordon's popularity to his smooth, bald head and the tightness of his Trash Gordon costume. "You've got to love a man in tights," she says. "I'd ride that mustache any night of the week," says a Maryland mother. "I'd ride that mustache any night of the week," says Lynda Brown-Yates, a Maryland mother of twins whose husband now sleeps in a separate bedroom. "I'll bet that in the dark, you can't tell the difference between him and Snuffalupagus." Lonely women fantasize about how that feathersword feels beneath the sheets. Captain Feathersword has replaced Greg Page as the sexiest Wiggle. Reports of Page's mysterious illness, which results in extreme exhaustion and frequent fainting spells, has turned off most young mothers. "I don't care how many times he sings about 'doing the monkey,' who the hell wants a guy who passes out every time you get into a 'Wiggle groove'?" Brown-Yates questions. "Give me the Captain. I'll show him how to use that French tickler of his." Others on the list include the Man in the Yellow Hat, Dave the Barbarian, Handy Manny, Bob the Builder, LaVar Burton of Reading Rainbow, Sesame Street's Mr. Noodle, and newcomer Johnny Tartaglia from the Disney Channel's Johnny and the Sprites. Little has high expectations for this television personality. "He's young and fresh," she says. "Most women think that he's Ben Affleck's effeminate younger brother." Moms want Johnny Tartaglia to demonstrate his sprightliness in the sack. Little, Valerie. 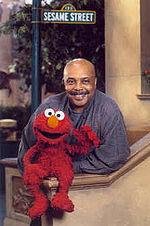 "Top 10 Sexiest Children's Television Stars." Desperate & Lonely: A Magazine for Moms Who've Lost All Hope. June 2007. This page was last edited on 5 June 2012, at 04:51.